As he peered out a second-floor window of a South Willard Street home this morning, the 25-year-old Brooklyn man had only seconds to make his decision. The Burlington police and U.S. Marshal's Service officers were swarming the house. He went for it, flinging himself out of the window while stunned officers looked on. Gravity carried him toward freedom, but he hit a snag. His pants caught on part of the building. He dangled in the winter air for several minutes, before, like a cat stuck in a tree, he was rescued by members of the Burlington fire department. Of course, in the annals of daring escapes from police, this caper isn't all that spectacular. D.B. Cooper famously parachuted from an airplane that he hijacked. At least two Alcatraz inmates drowned in the San Francisco Bay while trying to swim to freedom. Last year, three Québec inmates escaped by hitching a ride on a helicopter. But they all had good reasons to flee. Burlington police still have no idea why the man ran from them. There were no warrants for his arrest. Police say he did not commit a crime in their presence. And he wasn't even the target of their search. 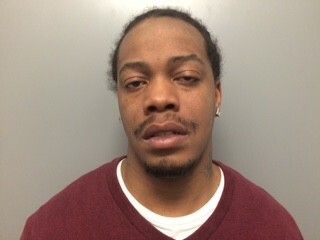 Police had come to the house to arrest a different man, 32-year-old Alonzo Jones, also of Brooklyn. "You can't make this stuff up," deputy Burlington police chief Bruce Bovat said. "You never know how people will respond to us. But to that extreme?" During the incident, police said, Jones threw crack cocaine out the window. He was arrested. Bovat said the 25-year-old man likely knew Jones, but police still aren't sure. They aren't identifying the jumper because he hasn't been charged. He was taken to the University of Vermont Medical Center as a precaution, but he wasn't hurt, Bovat said. He was, at this writing, free to go wherever he wanted.